[video] Kyle Walker Is Prepared To Do His Best For England | The Transfer Tavern | Where football transfer rumours fly or die! Kyle Walker’s career is ticking along nicely and he is clearly delighted to get an international call up from Roy Hodgson. 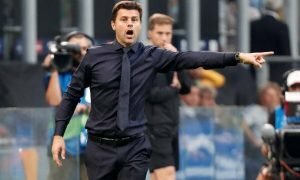 The Tottenham man’s attacking style has won him plaudits among supporters with many believing he can offer more than a more conventional style of right back. Walker, who was named the PFA young player of the year in April will step in to replace the suspended Glen Johnson. “I just hope that, if I’m selected on Friday, I can show everyone what I can do in the game. It’s a fantastic opportunity for me to get into the team and I’ve been patient and waited a long time for this. This is what I’ve been waiting for all of my career since I was seven, to play for England, so hopefully, we can get the three points. “There are a lot of quality defenders in the England set-up and whoever puts on the shirt will do a fantastic job. I think it will be about being professional and doing the basics well. We have to show them respect. Everybody says it’s going to be an easy game but for me, I’m going to treat it as though I was playing anyone whether that was Real Madrid, Manchester United or San Marino. “On a personal note it is a fantastic opportunity for me to get into the team. I’ve been patient and waited for that. Hopefully on Friday I can show everyone what I can do and have a good game. A first competitive start is what I’ve been waiting for, for a long time now. For all my career, since I was seven, I’ve wanted to play for England, and put that jersey on. Walker, who signed a new five-year contract with Tottenham at the end of last season, can certainly not be accused of being over-confident. He said: “I’ve done nothing. I’m 22. I’ve done absolutely nothing in my career so far. “I had a good last season, winning the young player and a few more awards, but that’s just the start and hopefully I can go on.